Kensington Conference and Events Centre is one of the largest event spaces in London. Situated in the heart of Kensington it boasts contemporary architecture, the latest support infrastructure and complementary Wi-Fi throughout. This venue is home to a range of meetings, conferences, dinners, TV production and filming, exhibitions and corporate events. The venue is fully accessible for guests with mobility difficulties. Within walking distance of major hotels to suit all tastes and budgets and a wide variety of restaurants minutes away. The venue is well serviced with excellent transport links, in addition to the on-site 24-hour underground car park with a capacity for up to 460 vehicles. Owned and managed by The Royal Borough of Kensington and Chelsea, Kensington Conference and Events Centre, located just a two minute walk from High Street Kensington Underground Station, is a highly adaptable, purpose-designed events venue offering unrivalled conference, exhibition, banqueting and event management facilities. 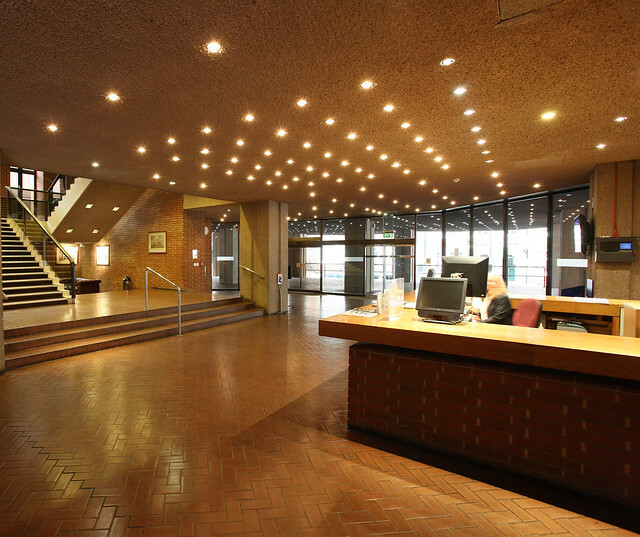 Designed by architect Sir Basil Spence and opened in 1977, Kensington Conference and Events Centre is one of the largest venues of its kind in central London. Superbly served by an efficient network of road, rail, and air transport links and combining a range of halls and rooms, modern communications and conferencing equipment, disabled access and a 24-hour underground car park for 460 vehicles, the venue provides an easy-to-use, highly cost effective, creative and endlessly adaptable solution for a wide range of events and special occasions.